The major in Medicine, Health, and Society (MHS), offered by Vanderbilt’s Center for Medicine, Health, and Society, investigates the cultural, economic, demographic and biological factors that impact health. Drawing on courses in the medical sciences, humanities, and social sciences, this innovative interdisciplinary field of study transcends the traditional biomedical approach to understanding health and illness. Through work in and out of the classroom, MHS students learn to think critically about complex social issues that impact health and develop effective strategies for targeting health care crises. The curriculum is designed to train students to meet emerging challenges in our healthcare system as well as changes in medical education. The Center is dedicated to training the next generation of national and international health leaders—from doctors and nurses to economists and policy makers. Global health: emphasizes social and political determinants of global health disparities, history of global public health concepts and practices, relationship between culture and health, and various health systems. Health economies and policies: emphasizes the economic, legal, and political dimensions of health. Health behaviors and health sciences: emphasizes social foundations of health. Inequality, intersectionality, and health justice: emphasizes how diverse structures of inequality intersect and shape health disparities, and considers the role of social justice movements in reducing inequities. Medicine, humanities, and the arts: emphasizes critical inquiry of our most basic ideas about health and medicine. Critical Health Studies: entails a student-designed, faculty-guided course of study. MHS majors choose from courses in MHS and other departments including neuroscience, biology, psychology, sociology, anthropology, political science, history, philosophy, and economics. Recently offered courses include: Racial and Ethnic Health Disparities, Global Public Health, Global Health and Social Justice, U.S. Health Policy, Men’s Health Policy and Research, Community Health Research, Mental Illness Narratives, Medicine and Literature, War and the Body, Narrative Medicine, Death and Dying in America, Masculinity and Men’s Health, Perspectives on Trauma, American Medicine and the World, Chinese Society and Medicine, HIV/AIDS in the Global Community, Politics of Health. MHS students are active members of Vanderbilt’s numerous health-related service organizations and pre-health professional societies. Students in MHS may earn academic credit for internships and service learning projects, which combine practical training with academic research. Under faculty supervision, students gain experience in a broad range of public and private health-related agencies. MHS works closely with students to secure internship and service learning placements. We collaborate with Vanderbilt’s Office of Active Citizenship and Service (OACS) to develop local, national and international service opportunities for students. MHS study abroad programs are available in Copenhagen and Cape Town South Africa. Through these programs students get more hands-on exposure to clinical medicine than they ordinarily would as undergraduates in the U.S. Denmark’s International Study (DIS) Program has a Medical Practice and Policy track, which is an ideal fit for MHS. Students attending the University of Cape Town participate in community-based research. The flexibility of the MHS curriculum allows most interested students to meet graduation requirements, complete prerequisites for application to professional school, and still have time to spend a semester abroad. Medicine, Health, and Society offers students the opportunity to earn a Master’s in the Social Foundations of Health. Through Vanderbilt’s 4+1 BA/MA program, students can earn a Bachelor’s and Master’s degree in just five years of study. The MA degree emphasizes health disparities, interdisciplinary faculty/student collaboration, critical thinking, research skills, and social contexts of health through a topically and methodologically broad curriculum. The program is aimed at students who want to gain research experience, enhance their interdisciplinary training, and generally strengthen their applications before entering medical or professional school. Students begin graduate level courses in the second semester of their senior year. The program is open to undergraduates majoring in MHS or related majors, and to recent MHS graduates. Applications are due in the fall and current undergraduates should apply in their senior year. 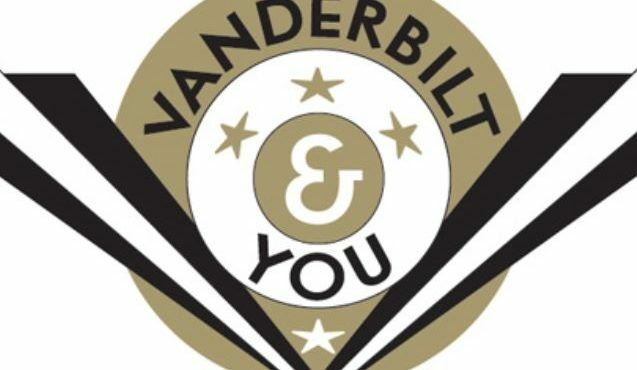 Interested students should contact the Director of Undergraduate Studies early in their Vanderbilt career to ensure they meet eligibility requirements. The Medicine, Health, and Society program prepares students for professional training in medicine, nursing, law, public health, management and other areas, and for graduate study in a variety of disciplines. According to a survey of our graduating seniors, approximately a third go to medical school, another third attend public health, nursing or other graduate school. Other students accept jobs in the healthcare industry, government, or non-profit sector. In recent years, MHS graduates have found positions with a variety of organizations, including but not limited to: American Heart Association, Black Rock, Boston Children's Hospital, Chandler Chicco Companies, Compass Professional Services, Deloitte Consulting, Epic Systems Corporation, Health Talents International, Hospital Corporation of America (HCA), Huron Consulting Group, National Institutes of Health, Parallon Business Solutions, Teach for America, and Vanderbilt Medical Center. As an interdisciplinary major, Medicine, Health, and Society draws on MHS faculty as well as affiliated faculty in departments and programs across the University in the College of Arts and Science, Peabody College, the School of Medicine, the School of Nursing, the Law School, the Institute for Global Health, Center for Biomedical Ethics and Society, and elsewhere. Faculty from the professional schools guest lecture in MHS courses and are available to serve as advisers for internships and service-learning programs.